Tap It Brewing — Santa Maria Brewing Co. 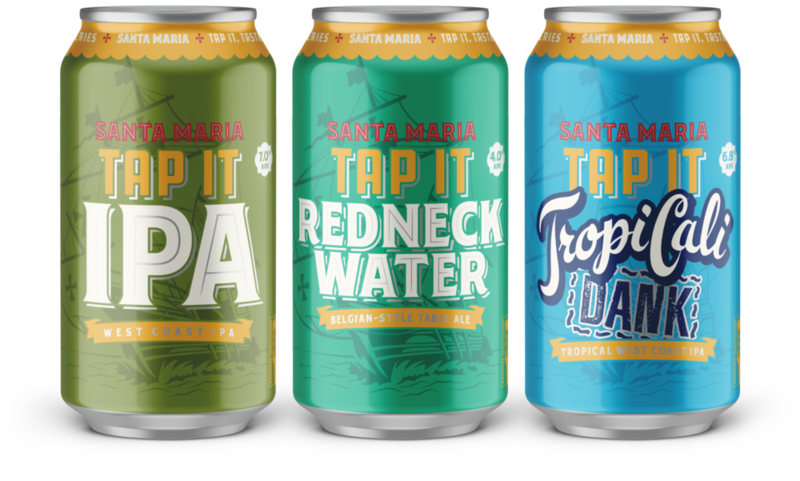 Tap It Brewing is now Santa Maria Brewing Co. 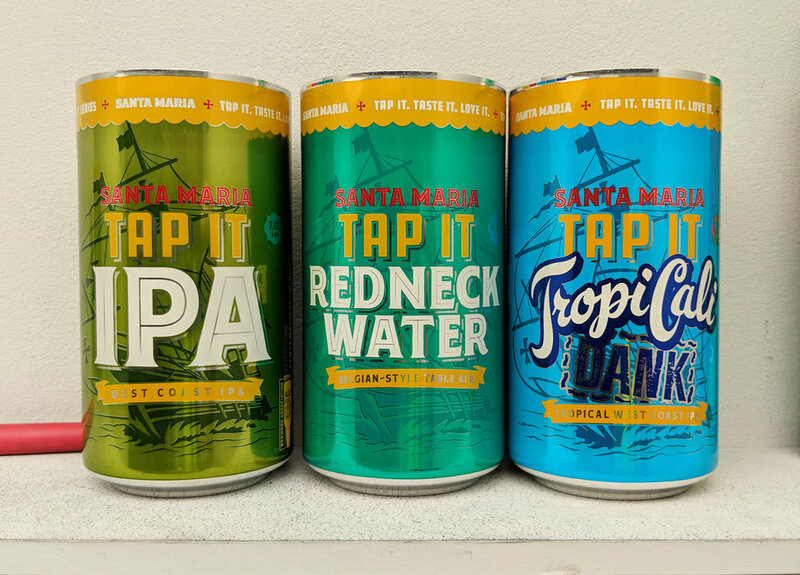 Tap It Series - In Cans! available in cans for the first time in early 2019. YOU MAY HAVE SEEN SOME ADS LIKE THIS ONE AROUND TOWN, OR ON YOUR SOCIAL MEDIA CHANNEL OF CHOICE. These were pre-cursors to the full announcement. But don't worry - you can still get your favorite Tap It beverages at your usual establishments and watering holes, now accompanied by some choice SMBC brews. © Santa Maria Brewing Co. All Rights Reserved.